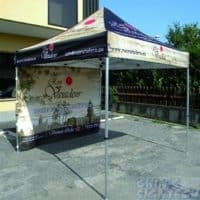 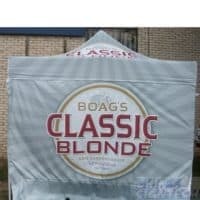 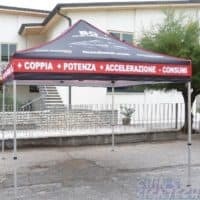 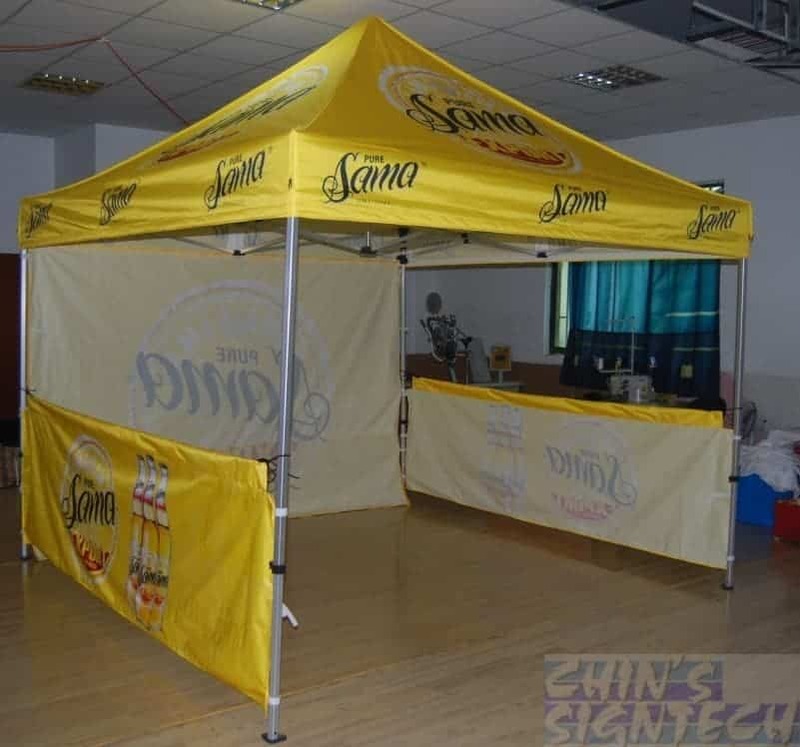 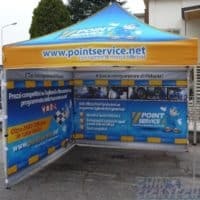 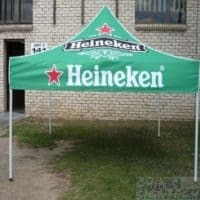 Pop up tent is a good way to leave deep impression on your customers about your brand at company events, festivals, product launches, sporting event. 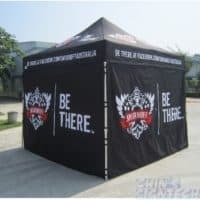 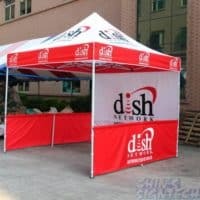 Pop out in minutes for maximum branding and shelter for your Roadshows ! 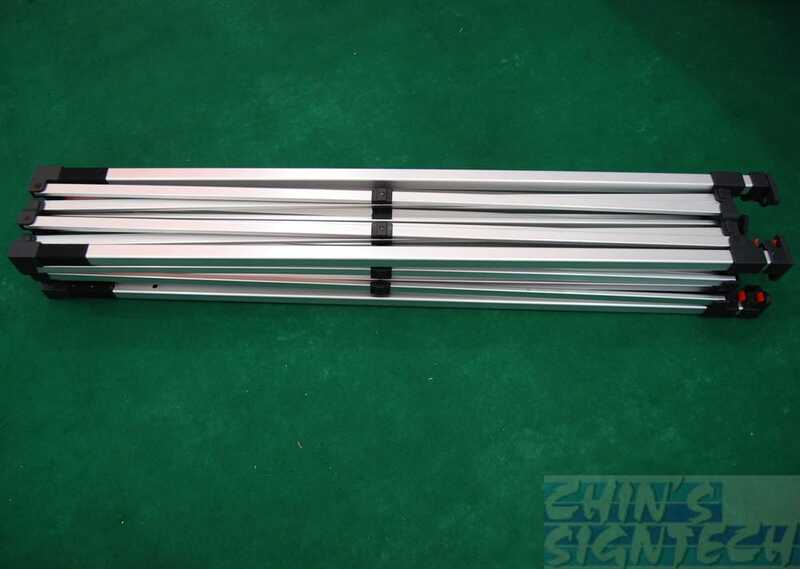 Premium high durability Aluminum frame designed for long lasting use and easier transportation. 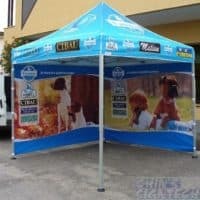 Prefect for indoor or outdoor fairs, festivals and other events. 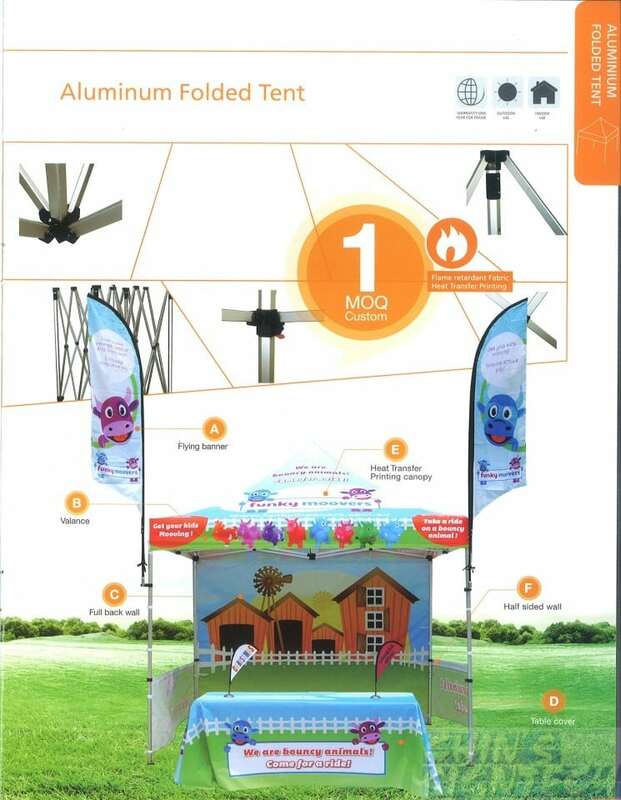 The tent frame is made of aluminum . 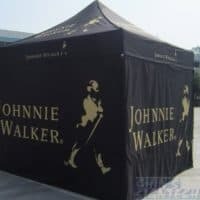 Tent canopy roofs and walls are made of 500D oxford .They are water, UV proof and fire resistance. 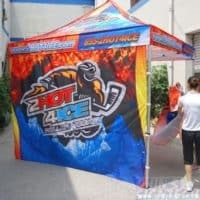 We use dye sublimation for printing, it can print the “4C” color, pictures are vivid and bright. 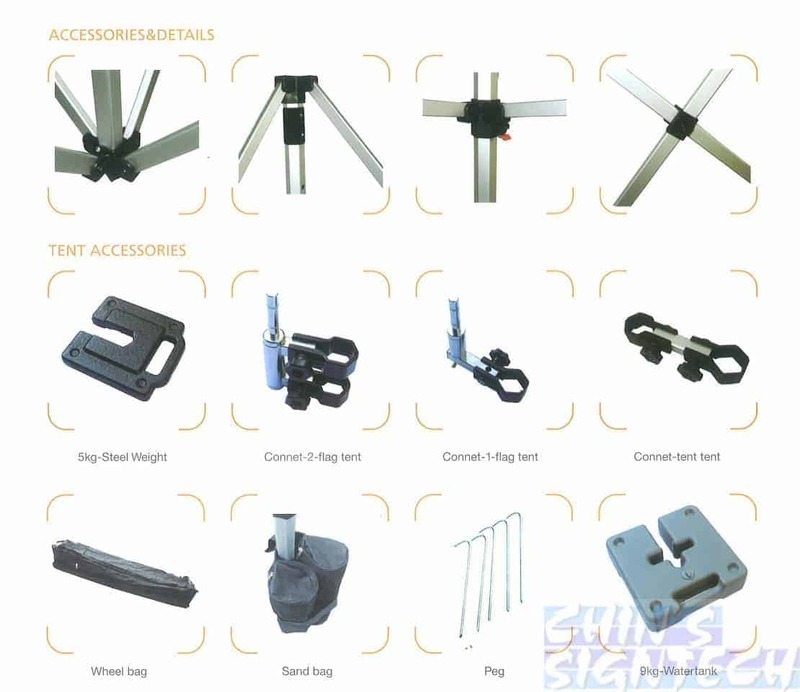 The material of carry bag is 500D oxford cloth, bag with wheel, more easy to carry.